ARLINGTON, VA; SEPTEMBER 5, 2013 – PBS announced today that Tuesday, October 15, 2013, is “Superheroes Night,” featuring a three-hour block dedicated to the groundbreaking program SUPERHEROES: A NEVER-ENDING BATTLE. The newest film from Emmy Award-winning producer/director Michael Kantor (BROADWAY: THE AMERICAN MUSICAL; MAKE ‘EM LAUGH: THE FUNNY BUSINESS OF AMERICA) will premiere at 8:00 p.m. ET and include insightful interviews from Stan Lee; actors Adam West (TV’s “Batman”) and Lynda Carter (“Wonder Woman”); Geoff Johns (chief creative officer, DC Comics), Jeph Loeb (head of television for Marvel Entertainment); Pulitzer Prize-winning author Michael Chabon (The Amazing Adventures of Kavalier & Clay) and cartoonist/author Jules Feiffer (the long-running strip “Feiffer”), as well as appearances by the late comic book icons Joe Simon (co-creator of Captain America) and Jerry Robinson (who helped create the Joker). A full list of interviewees who appear in the show is located at the end of the release. SUPERHEROES, cowritten by Kantor and Laurence Maslon, was initially to premiere October 8 and play over three weeks, but the series will now be a one-evening event of super entertainment. 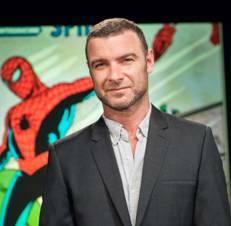 Narrated and hosted by Liev Schreiber (X-Men Origins: Wolverine, Showtime’s Ray Donovan), SUPERHEROES: A NEVER-ENDING BATTLE is the first documentary to examine the dawn of the comic book genre and its powerful legacy, as well as the evolution of the characters who leapt from the pages over the last 75 years and their ongoing worldwide cultural impact. It chronicles how these “disposable diversions” were subject to intense government scrutiny for their influence on American children and how they were created, in large part, by the children of immigrants whose fierce loyalty to a new homeland laid the foundation for a multi-billion-dollar industry that is now an influential part of our national identity. “SUPERHEROES: A NEVER-ENDING BATTLE is one of the most comprehensive surveys of the vibrant comic book industry ever created; it explores cultural histories in an entertaining and educational way — just as PBS viewers have come to expect,” said Donald Thoms, Vice President, Programming and Talent Management for PBS. In the 1960s, a new breed of superhero emerges in the pages of Marvel Comics, inspired by the age of atomic energy and space travel and, in turn, inspiring the pop culture and pop artists of the time. Spider-Man, the Hulk and others are the first to have “problems” with which an adult audience can identify, and contemporary social issues make their way into comic books. Black powerhouses such as the Black Panther and Luke Cage appear on the scene, and the pages of “Green Lantern/Green Arrow” explode with relevant storylines as comic books are forced to confront the reality of an increasingly complex world. Modern enthusiasm for superheroes has been embraced in all forms of media and by all demographics, beginning with the historic Superman movie featuring Christopher Reeve as the Man of Steel. In 1986, Batman is overhauled as The Dark Knight to reflect the nocturnal underside of his character, and Watchmen bring new sophistication to comic book narratives, illuminating a violent and politicized world. In the burgeoning new millennium, superheroes have taken over popular culture with feature films, television shows and video games complementing a new generation of web-based comics that bring superhero adventures to every corner of the world. A new book based on SUPERHEROES: A NEVER-ENDING BATTLE, titled Superheroes! : Capes, Cowls, and the Creation of Comic Book Culture and penned by series co-writer Laurence Maslon and filmmaker Michael Kantor, will be available October 1, 2013, from Crown Archetype, a division of Random House. This stunning companion volume tells the story of the superhero in American pop culture, with interviews, character biographies and more than 500 illustrations both essential and rare. PBS Distribution will release the DVD and Blu-ray version of SUPERHEROES: A NEVER-ENDING BATTLE on October 15, 2013, coinciding with the PBS broadcast. The DVD will be available for a suggested retail price of $24.99 and the Blu-ray will be available for a suggested retail price of $29.99. The running time is 180 minutes and will include exclusive extra features. In addition to the names listed earlier in this release, the full list of interviewees who appear in SUPERHEROES includes: artist Neal Adams, Ed Catto (Bonfire Agency), writer Chris Claremont, writer Gerry Conway, writer Paul Dini, writer Mark Evanier, writer and editor Danny Fingeroth, historian William Foster, artist Ramona Fradon, artist Irwin Hasen, the late artist Carmine Infantino, writer and artist Phil Jiminez, writer Gerard Jones, publisher Jenette Kahn, the late artist Joe Kubert, artist and co-publisher of DC Comics Jim Lee, comic store owner Mike Malve, artist/writer Todd McFarlane, screenwriter Ashley Miller, writer Grant Morrison, writer Gary Phillips, writer/editor Denny O’Neil, writer Trina Robbins, chief creative officer of Marvel Entertainment Joe Quesada, casting director Andrea Romano, artist/designer Arlen Schumer, writer Louise Simonson, writer/artist Walt Simonson, Man of Steel director Zack Snyder, artist/writer Jim Steranko, writer J. Michael Straczynski, colorist Christina Strain, writer/editor Mark Waid, writer/editor Len Wein, writer Marv Wolfman and author Bradford Wright. The SUPERHEROES website is online at PBS.org/superheroes. Could be cool. Hopefully, I’ll remember.